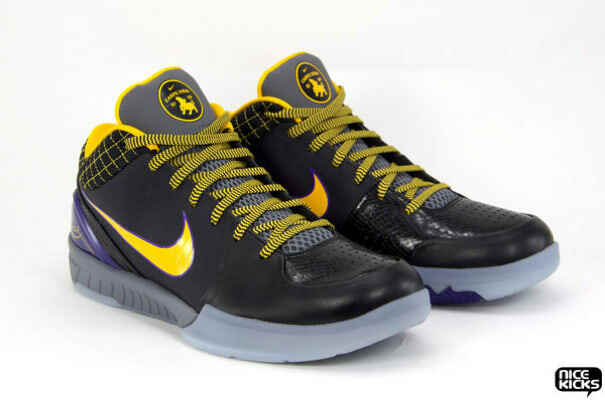 • When it launched, the Nike Zoom Kobe IV's low-cut build got a lot of "eh" reactions from the basketball crowd. But as more players began to wear it, the sneaker became one of the most consistently worn signature basketball sneakers in the NBA. This Eric Avar design was the first signature sneaker to feature Flywire and LunarLite Foam, two of Nike's darling technologies of the past few years. It is the second-lightest basketball sneaker ever created (11.6 oz), trailing only the Nike Zoom Kobe V.